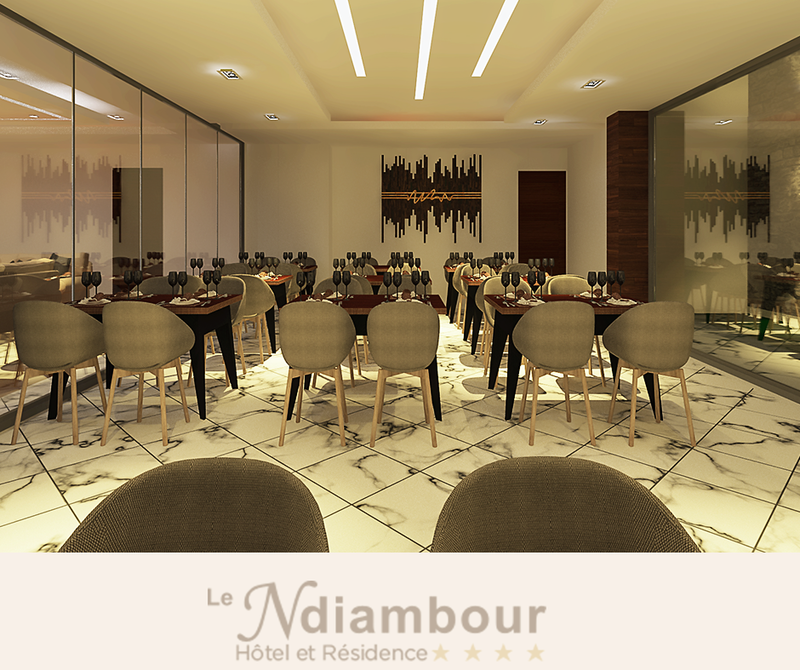 A true haven of peace in the heart of Dakar city, the NDIAMOUR hotel and residence is an appealing resort thanks to its contemporary and unique design. 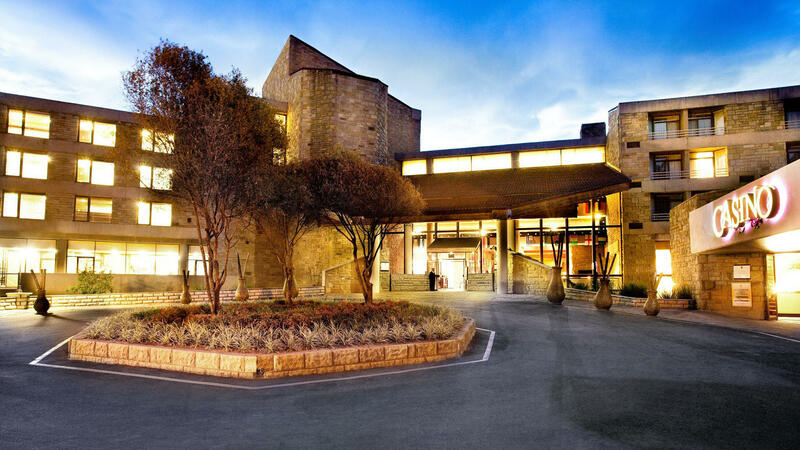 Ideally designed for long stays, holiday, leisure business, meetings and banquets; The NDIAMBOUR offers the best value for money opportunities as well as all the necessary convenience and utilities to make your stay pleasant. 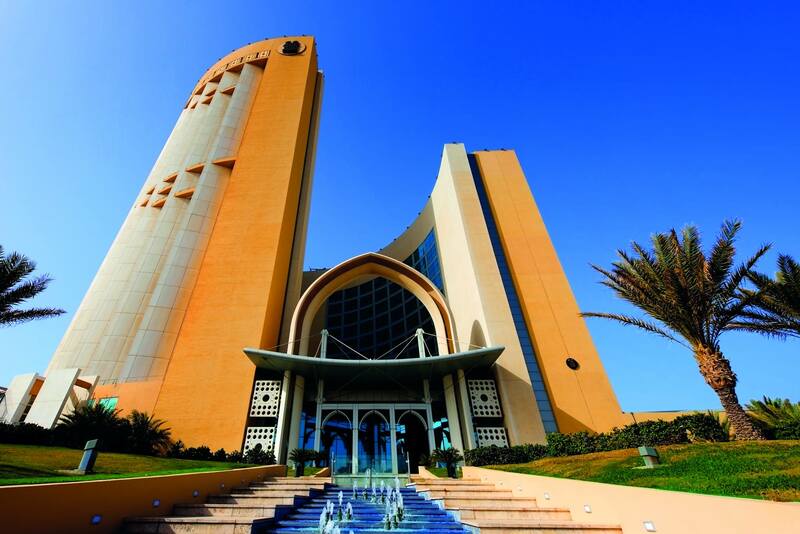 The Hotel has a shuttle service to and from the airport. 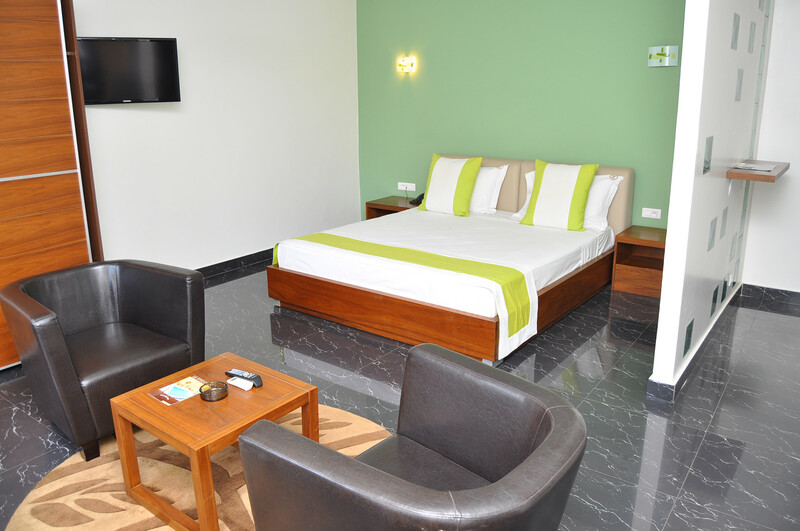 All of our rooms come with luxury furnishings, air conditioning, LCD TV, broadband Internet access, mini bar, hairdryer, safety box, private balcony. American kitchens are equipped with a refrigerator, a fume hood, a micro wave; electric hob and tableware. For your breakfast, lunch, dinner and cocktail, the hotel features 2 restaurants and a shaded terrace. Let yourself be tempted by our delicious dishes with exotic flavors. Our culinary experts are ready to satisfy your every appetite. 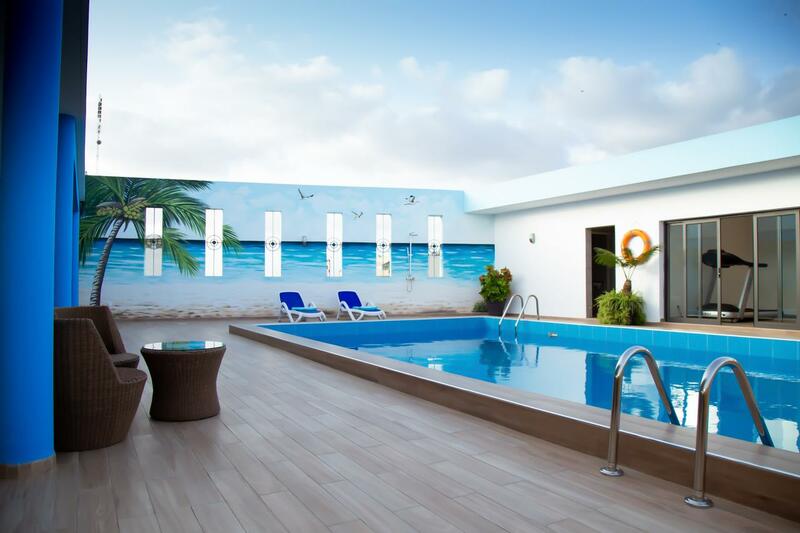 The swimming pool on the 8th floor of the Hotel offers a panoramic view of dakar city. 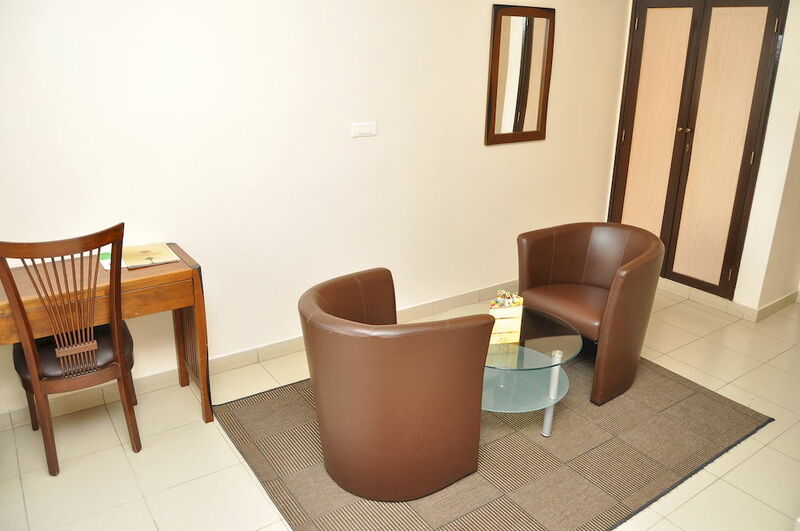 Equipped with a bar, it is the ideal setting for relaxation. 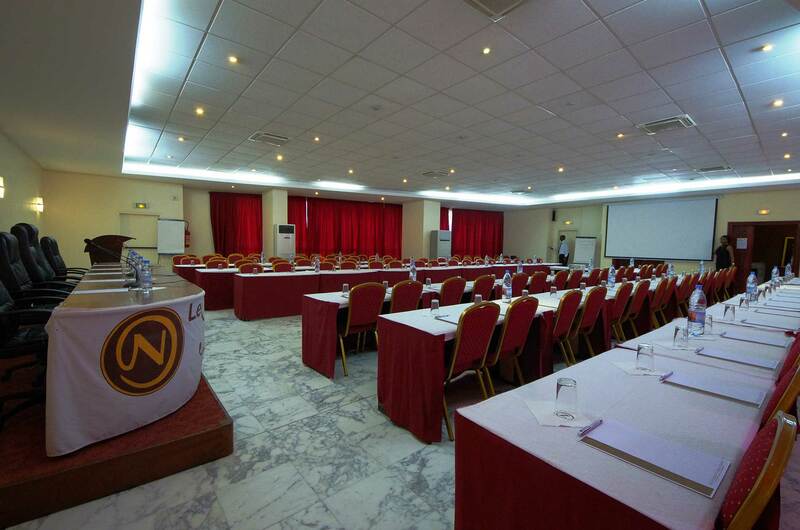 Equipped with 5 modern meeting rooms with Wi-Fi access, high-tech technology and natural lighting, the rooms can accommodate from 10 to 200 people. 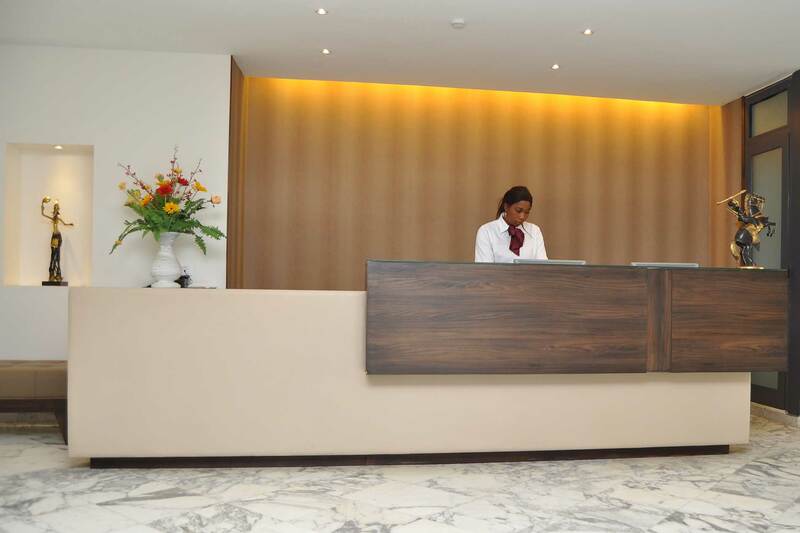 A personalized service and a dedicated assistant will be at your service during the whole term of the meeting. A video projector (offered), a projection screen, flip chart, pens, notebooks, markers, etc.